Newsletter 567 – Should You Care About Mindfulness? 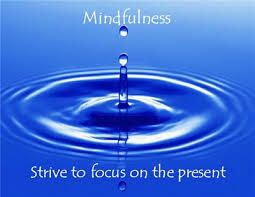 Mindfulness is the process of focusing on the present moment, giving full attention to what you are doing in the present and being less caught up in what happened earlier or what’s to come. The HBR article mostly is a listing of all the magical implications and effects of meditation and other mindfulness methods. Time suggests that the popularity comes, in part, from those who promote and market the mindfulness revolution. But the movement keeps growing because an increasing body of respectable research, including studies of the brain, gives evidence that mindfulness does, indeed, live up to many of its claims. Initially I shied away from mindfulness because of it’s Buddhist roots but then I thought of other apparently useful fields and methodologies that spring from humanism, secular research, and other foundations that in no way are Christian. Some of the mindfulness commentary on meditation sounds like biblical commands to meditate. But biblical writers tell us to meditate on God and his word whereas secular approaches have a different focus. We can use secular based approaches providing we keep aware of the reasons we use them. What are the Christian implications of all this, especially relating to counseling and to leadership? Please comment, including your recommendations for further study or reading. 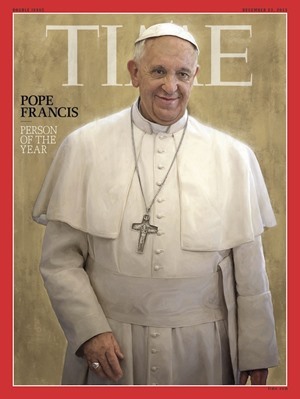 The Time magazine cover story naming Pope Francis Person of the year (December 23, 2013) included this interesting sentence: “Friends in Argentina had perceived him to be slowing down, like a spent force.” Then he was selected as Pope. “In an instant, he was a new man….suddenly the sovereign of Vatican City and head of an institution…with about enough followers to populate China.” Immediately a career and a life that seemed to have stalled was injected with a new sense of hope and passion. Do you know others who have stalled at different times in their lives or careers, perhaps shaken by changing circumstances, slowed by fading energy, drained of what once brought fulfillment and meaning? Perhaps we’ve all been there or are there now. Frequently I hear from people who are stuck in their careers and unsure where to go next. Christmas week I heard from a friend in ministry who is “facing a transition” and wanting to talk. A former student wrote to say that he was finding life to be “overwhelming at times…trying to gain traction the best I know how.” These people don’t want counseling; they seek somebody who has been on the road longer, willing to walk with them and coach them to a new sense of purpose. Like Moses in a boring wilderness, a cupbearer named Nehemiah, or a Catholic priest from Argentina showing signs of slowing down, they could find new purpose. Most of you know that I’m inspired by building people, helping them see possibilities for getting unstuck and pushing forward. So this year I’m looking for a few people (maybe you, or someone you know) who would like to spend the next several months journeying with me, two or three times every month in one-to-one telephone conversations. These could be people at any place in life, but especially those who are or have been successful and fulfilled but now are stalled. If you’re interested please drop a note to coachingwithgary@gmail.com. Meanwhile, I’ll revisit some of these themes in coming newsletters even as I continue to share new ideas that I keep reading about and learning. And with God’s guidance I very much anticipate walking with those of you who want to take fresh steps to find renewed hope, passion and purpose. show innovation, willingness to embrace technology, and a commitment to excellence. Apple’s Tim Cook is portrayed as a self-disciplined leader, highly ethical, always thoughtful, calm, and committed to excellence. are skilled, knowledgeable, and reflecting admirable characteristics. Hillary Clinton is described as “Tough. Indefatigable. Patient. Smart. Knowledgeable. Superior political instincts. Funny. Loyal team player. 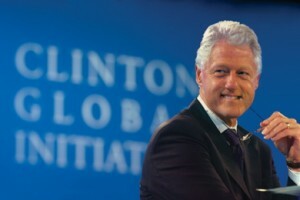 Skilled global advocate.” These are words from a Republican who worked for George Bush. 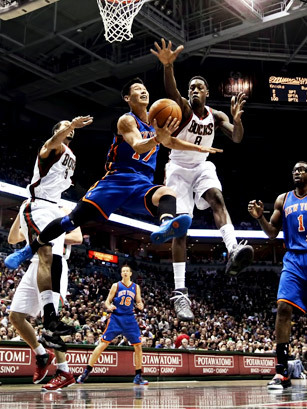 Apart from Jeremy Lin and Tim Tebow, nobody’s personal faith or spirituality was noted in these biographies. There was emphasis on hard-work and determination but no emphasis on God’s influence or the importance of gratitude. 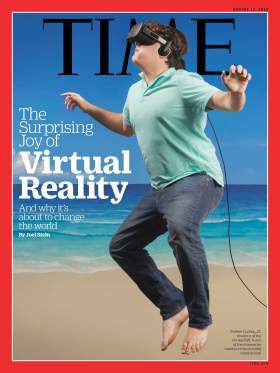 We may wonder about others, equally influential but not known enough to be on Time’s list. How can less famous people like us be influential? How do we coach, teach or lead others to become influencers as well? Please comment. 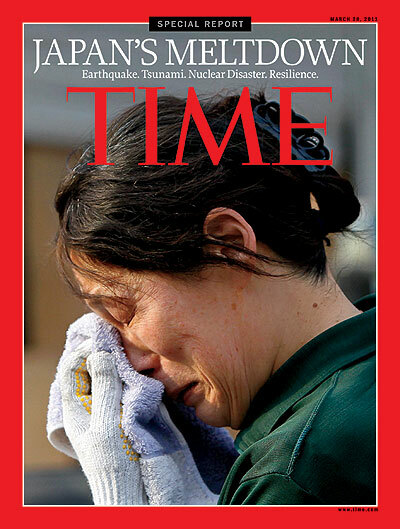 This week, Time magazine shows a cover photograph of a woman in Japan, apparently overwhelmed by her circumstances and surrounding devastation. The magazine describes the suffering and remarkable resilience of the Japanese people but there is little mention of what sometimes are known as secondary trauma victims. These include family members and friends far away from the disaster zone, unable to contact their loved ones, feeling helpless and intensely anxious. Secondary trauma victims also include first responders, rescue workers, medical personnel and others on the scene who experience exhaustion, compassion fatigue, burnout and the emotional drain of seeing so much suffering. Closer to home, secondary traumatic stress comes to emergency room personnel, firefighters, friends of people involved in car accidents, families of combat veterans, or those who know innocent victims of criminal violence. An article in The Counseling Psychologist (February, 2011) discusses how business and social service organizations can help. Churches, schools, counselors, coaches, leaders and others can help as well, even without rushing to disaster zones where well-intentioned, self-appointed care-givers sometimes get in the way and hinder relief efforts instead of helping. In addition to prayer and donations, how can we stimulate help? Be sensitive and available to secondary trauma victims who often are forgotten. Encourage the recognition that it is common and acceptable to experience exhaustion, sadness, and feelings of being overwhelmed. Caregivers and family members sometimes feel guilty about their own feelings. Some believe that overwork, self-deprivation, and determination are marks of honor or that only the weak succumb to fatigue or despair. There is value in recognizing that secondary trauma is normal, that it is OK to feel exhausted, to grieve, to cry. Be supportive. Caregivers sometimes comment that they can manage the demands if they feel “supported, validated, and valued by their” supervisors, colleagues and others. When possible, encourage secondary trauma victims to utilize stress management and relaxation strategies. Remind them to get rest, exercise, and eat well. Never overlook the spiritual support that comes from other believers and from God who sustains us in times of stress. How have you helped secondary stress victims in ways that could inform the rest of us?